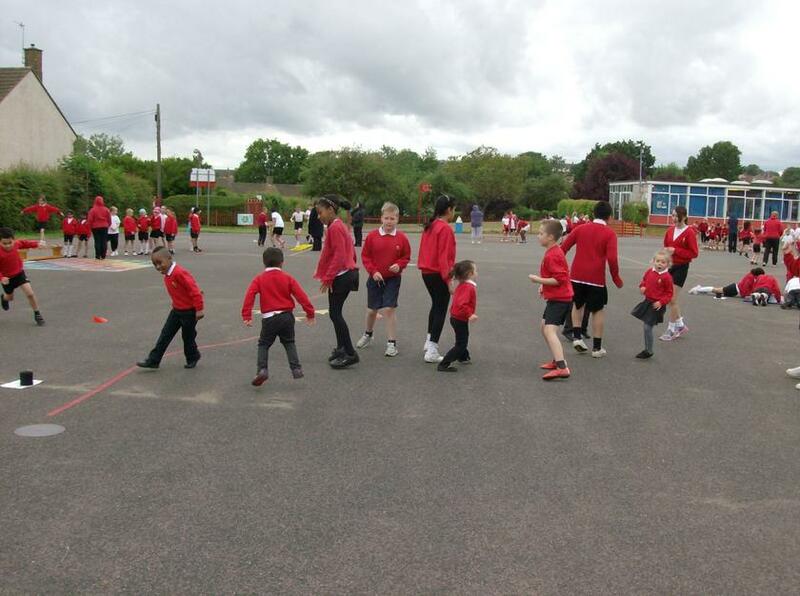 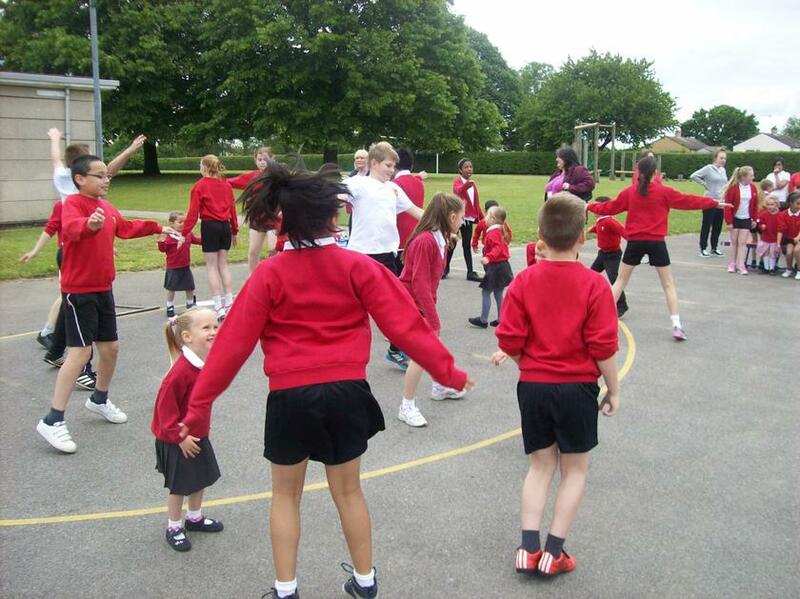 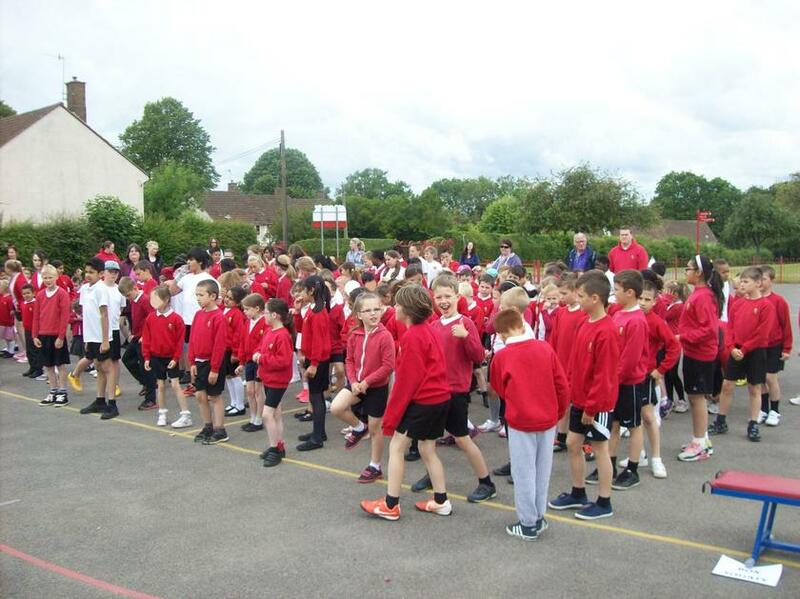 Our week began with a whole school Fitness Circuit on the school playground. 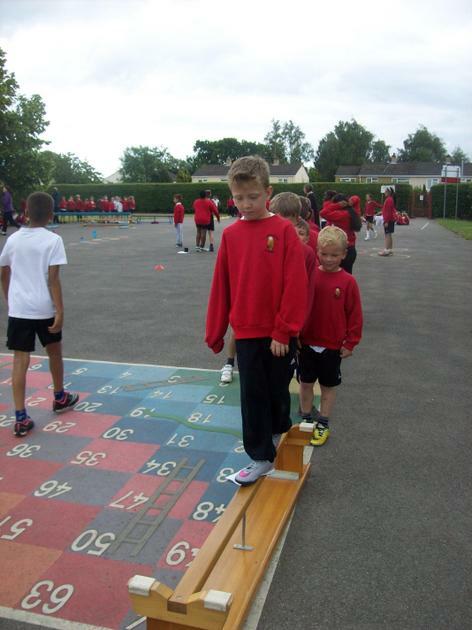 The circuit was designed so that all children could take part in each exercise and could try to beat a partner within their groups. 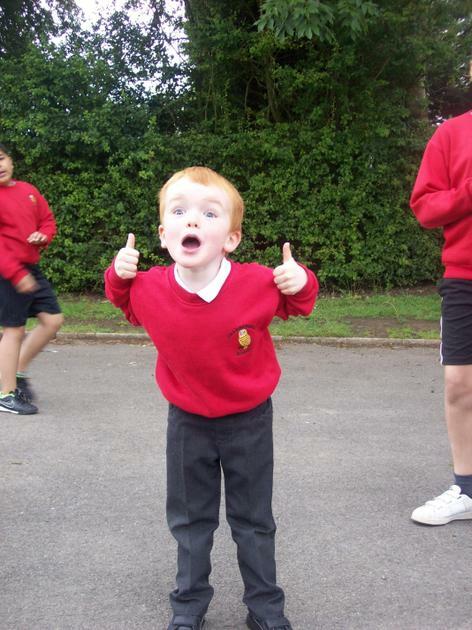 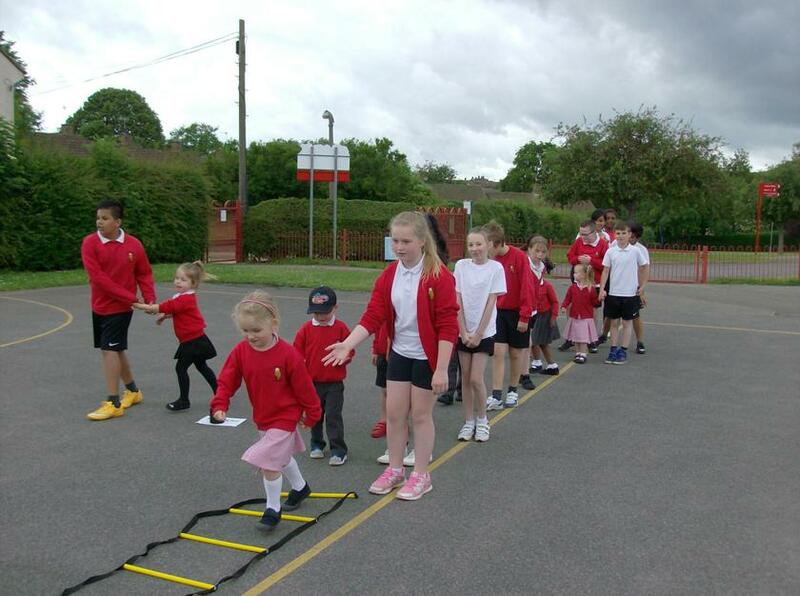 We paired up our Nursery pupils with a Year 6 "Buddy" who went round to each station with them and ensured they took part in the exercise and could physically perform the task. 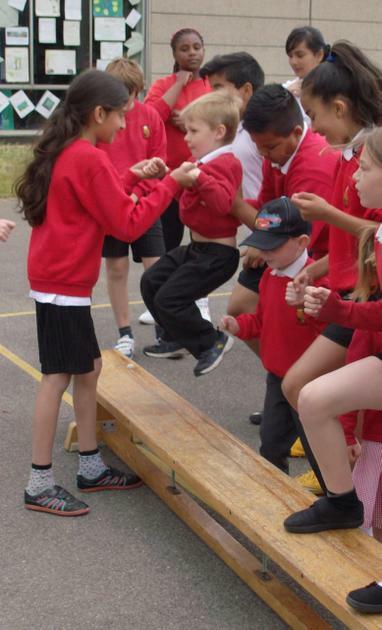 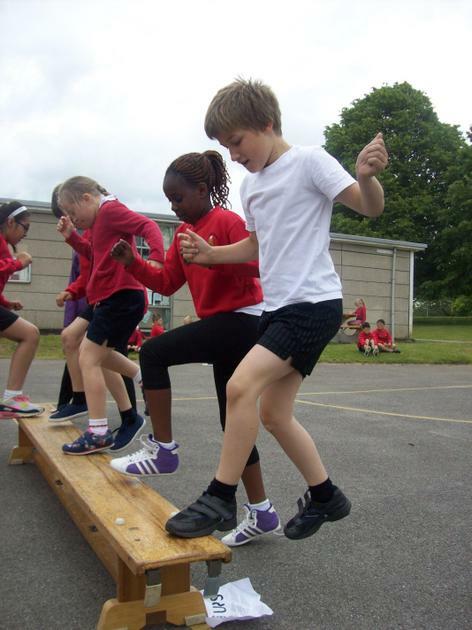 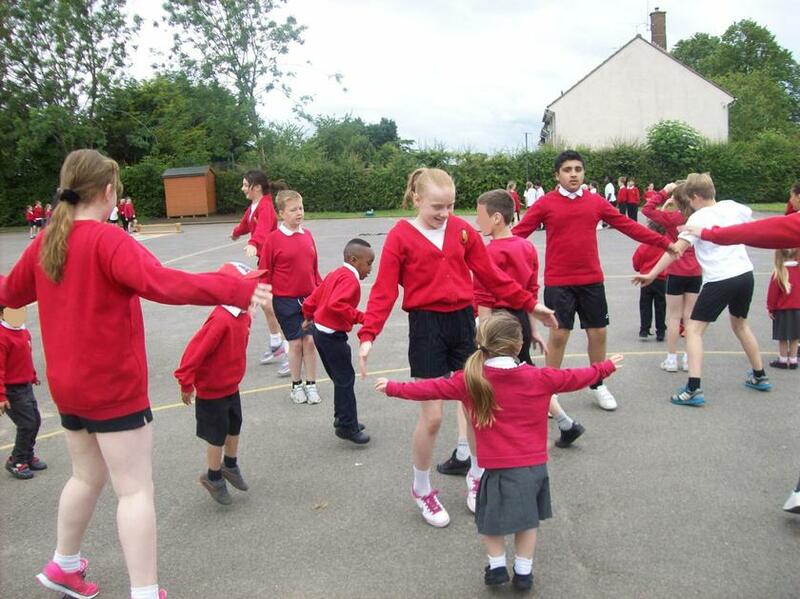 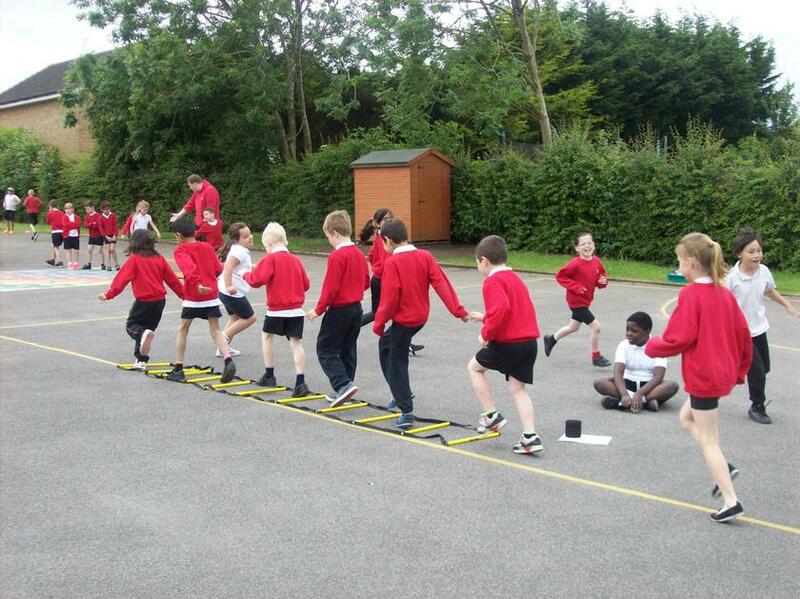 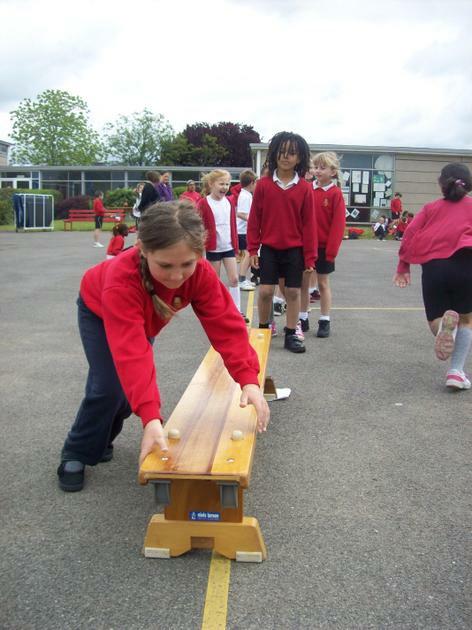 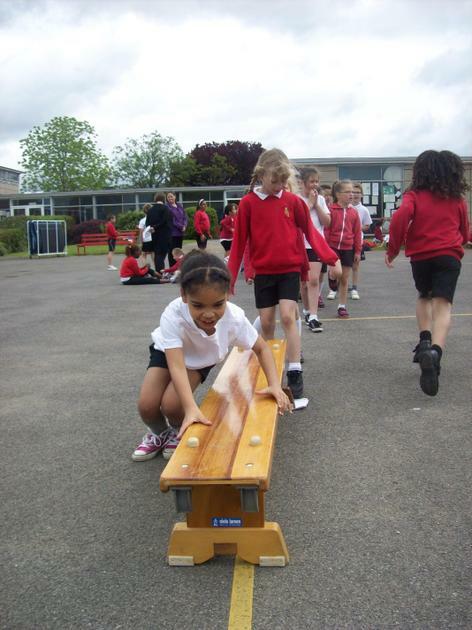 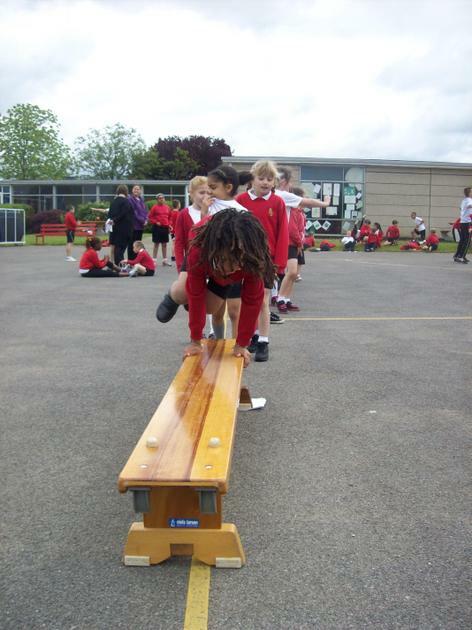 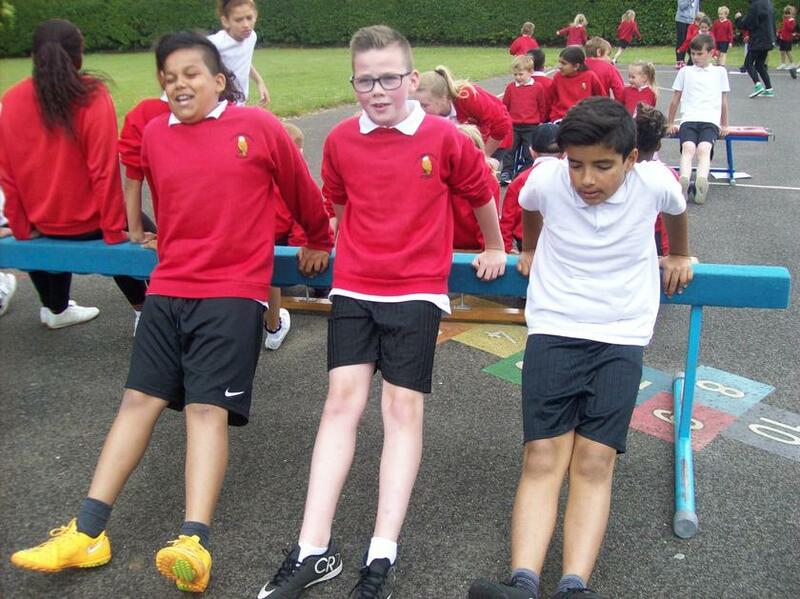 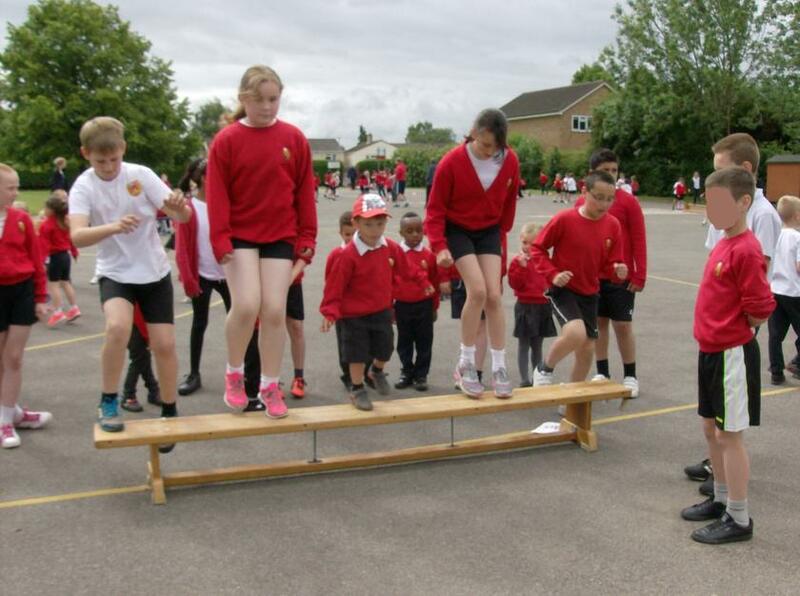 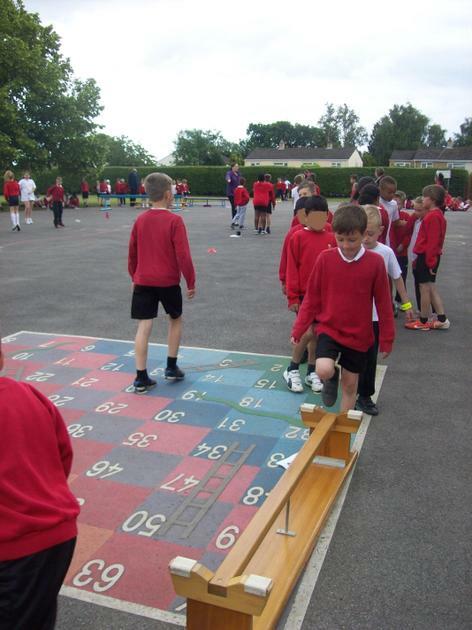 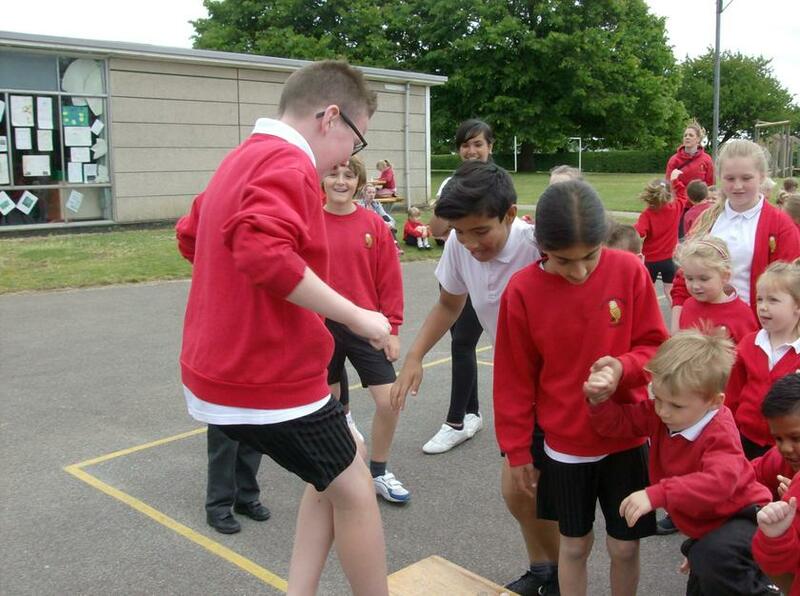 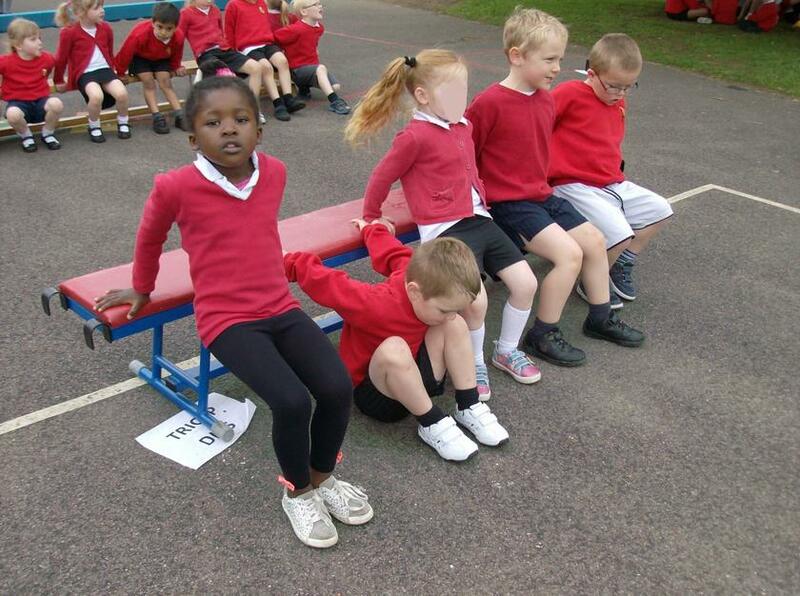 We had a range of activities/exercises such as shuttles, balance beams, bunny hops and tricep dips. 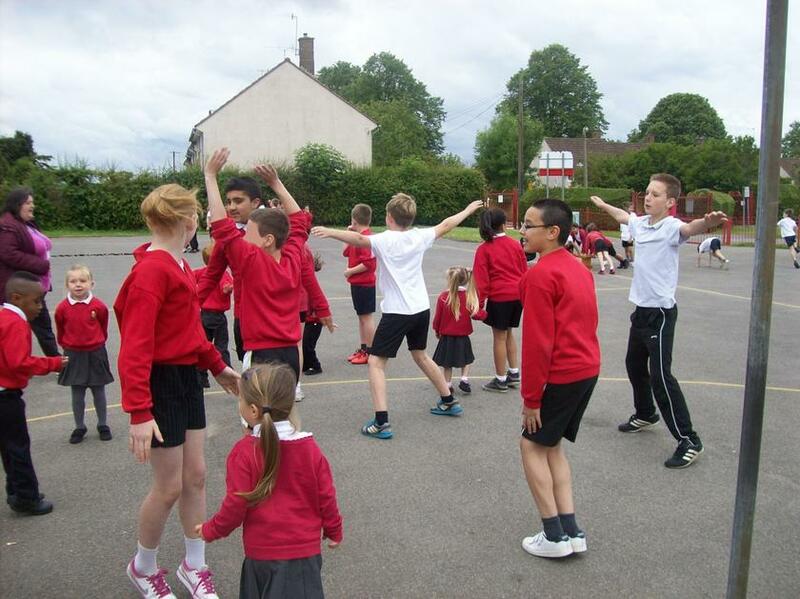 After the circuit some of our pupils wrote down what they could think of in the circuit. 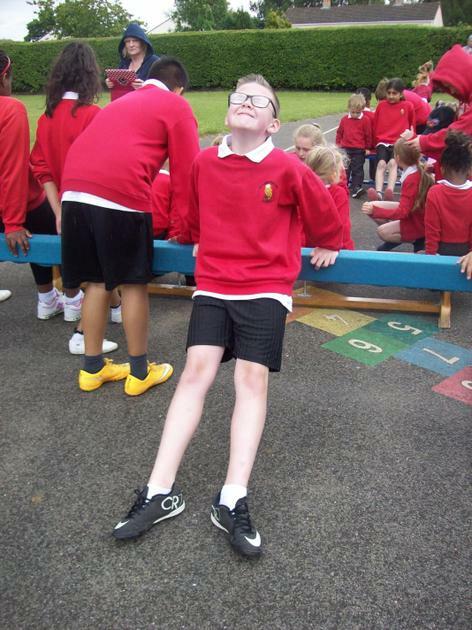 The following statement came from Dylan in Year 4. 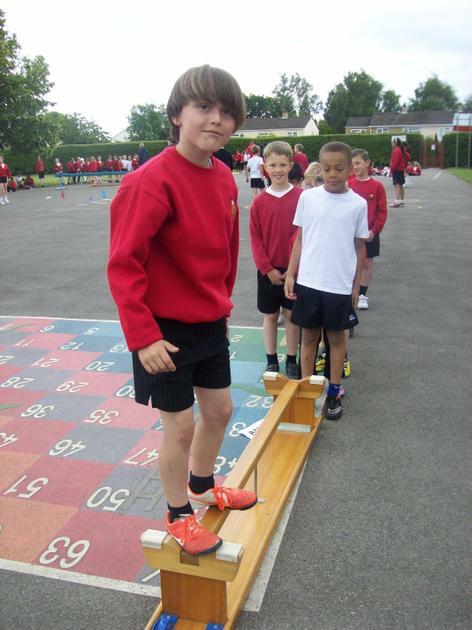 "On Monday we did some training for the upcoming Sports Day. 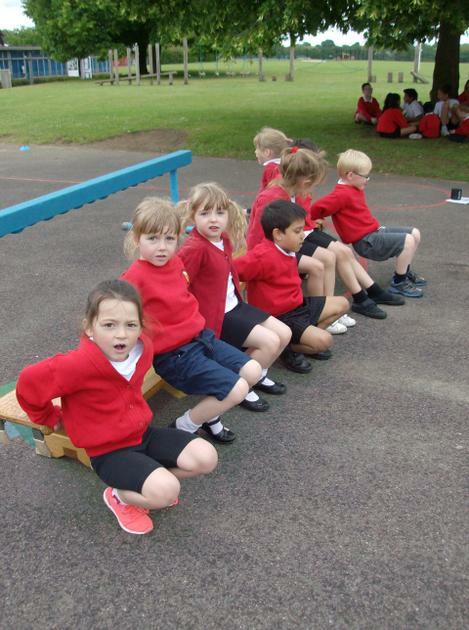 The different practices included press ups, sit ups, two rest stations [they were my favourite], box squats, balance beams and a lot more." 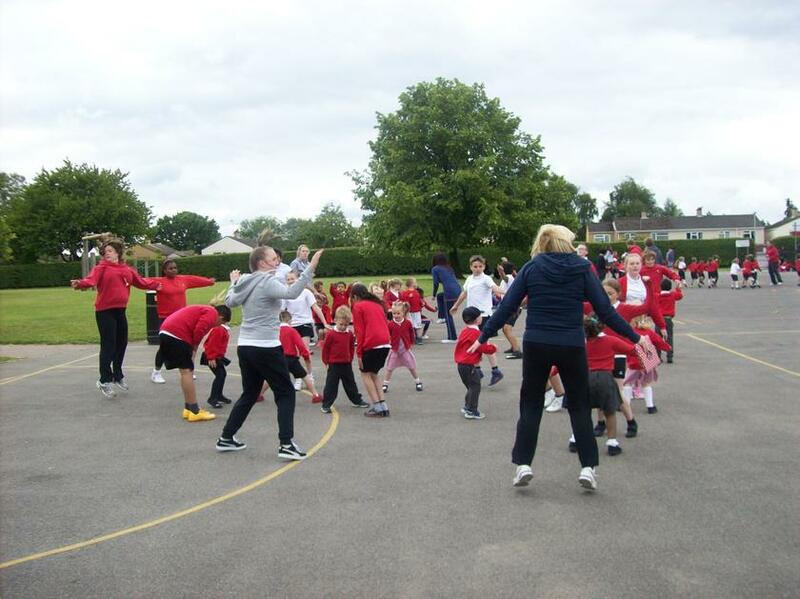 As you can see from the photos below it was busy!